Tough Mudder is a 10 mile mud and obstacles course designed to drag us out from our comfort zones by testing our physical strength, stamina and mental grit. With no podiums, winners, or clocks to race against, it’s not about how fast we can cross the finish line. Rather it’s a challenge that emphasizes teamwork, camaraderie, and accomplishing something almost as tough as we are. 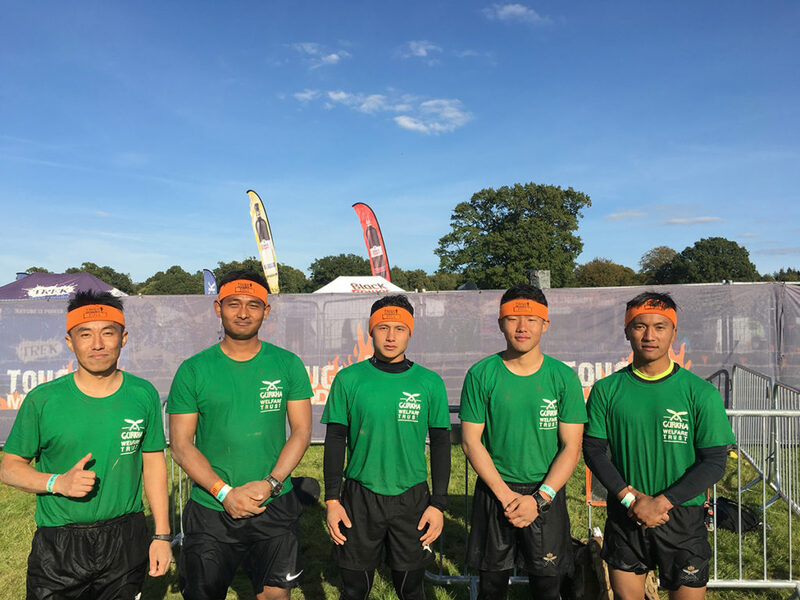 Five members of Gurkha Company Sittang took part in the event on 29th September 2018, which was held in South London. 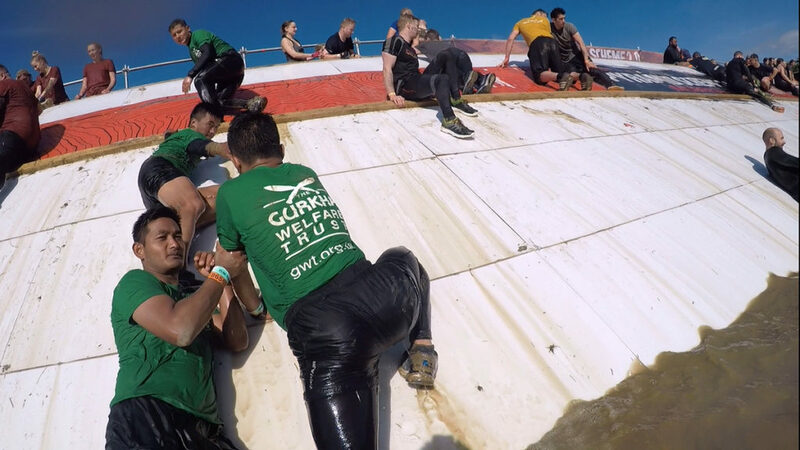 The main aim was to raise funds for the Gurkha Welfare Trust and Royal Gurkha Rifles Trust to help Gurkha Veterans, their families and communities. Our charity goal was to raise approximately £1250 and we succeeded in doing so. People from across the world took part in the event. Many of them were taking part to raise funds for different charity organizations and a few were just for fun. As the name of the event itself says it was tough but we were glad we had the opportunity to experience it. We completed the ten mile long course crossing more than twenty plus obstacles such as Electroshock Therapy, Arctic Enema, Hero Walls, Underwater Tunnels, Funky Monkey, and many more. The medical service was at the highest level which was monitored by the management team of the event. Finally, it was a great opportunity to represent GCS in Tough Mudder 2018 and be part for a noble cause.